Introducing Billow hand lettered brush with bonus (vector splatters). 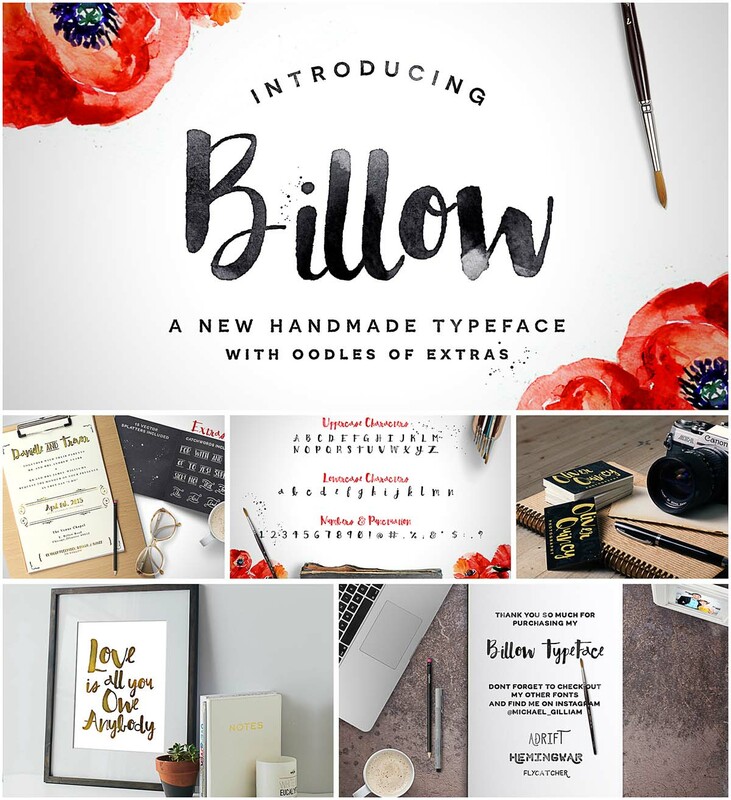 Perfect for typography, branding, logo design, invitations, prints, and wedding elements. File format: .otf, .ttf, .woff, .psd, .eps, .ai for Photoshop or other software. Tags: brush font, ink, irregular font, script, splatters.